As the Australia movement resumes its campaign to Change the Rules, the Australian building and Construction Commission (ABCC) has been turned by the Morrison government to be used against this. After recent failures to target union leaders, the present focus seems to be on rank and file members. There have been a number of cases lately, over sites in different parts of Australia, in relation to taking part on what is labelled unlawful industrial action. The new threat is to extend this to workers who participate in Change the Rules rallies and other activities. Under the ABCC related Fair Work Act, individuals can be penalised up to $42,000. Australia’s peak union body, the Australian Council of Trade Unions (ACTU) has become a special target of interest for the ABCC. 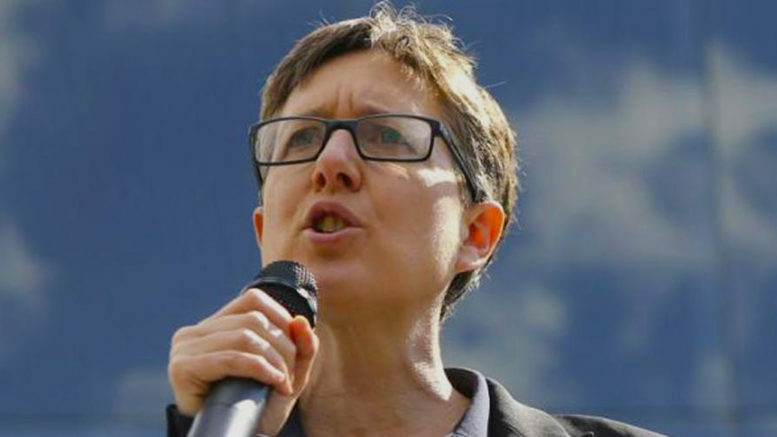 Secretary Sally McManus has hit back accusing the ABCC of acting like a “secret police,” using heavy handed tactics to try and for workers to confess their roles in union peaceful protests. The fact that some building related components are made outside building sites is being used as a loophole for the government’s attack dog to move into the manufacturing industry. as it head to an election,the Morrison government has meanwhile moved to stack various bodies with even more of its own people. The ABCC is one of them. Over the coming months, a series of ACTU led across the nation activities will be taking place. They are geared to removing the Morrison government from office. Unions have a good argument for doing this. The Morrison Coalition government is out to get them and go as far as it can to destroy the existence of unions in Australia. The Morrison government is also fighting an uphill battle to cling on and is in increasing internal disarray. It could do just about anything. Its targets can argue that they have a legitimate right to defend themselves. This is why there is a battle to bring about a new industrial relation, system and the abolition of the ABCC once and for all. 1 Comment on "Morrison Government’s construction industry attack dog now being used more widely"
GO SALLY! YOU ARE DOING A TERRIFIC JOB. DON’T STOP!